Listen to Suzette Grillot's conversation with environmental journalist Emma Marris. In her 2011 book Rambunctious Garden, Marris writes about the idea of “assisted migration” – moving species to new areas where they’re likely to survive better. Marris curates a Tumblr blog called Everyday Nature, where she photographs what she calls “small nature” in mostly urban settings. In Washington, residents living between Seattle University and Nora’s Woods have planted wildflowers in the area of their lawn between the street and the sidewalk as part of the Pollinator Pathway project. It's mostly focused on how we act as consumers. It's how we shop and how we buy things, and how we don't buy things. And I think that people are kind of bored, or offended almost, that the only way that they can have a positive influence on the planet is by how they shop. 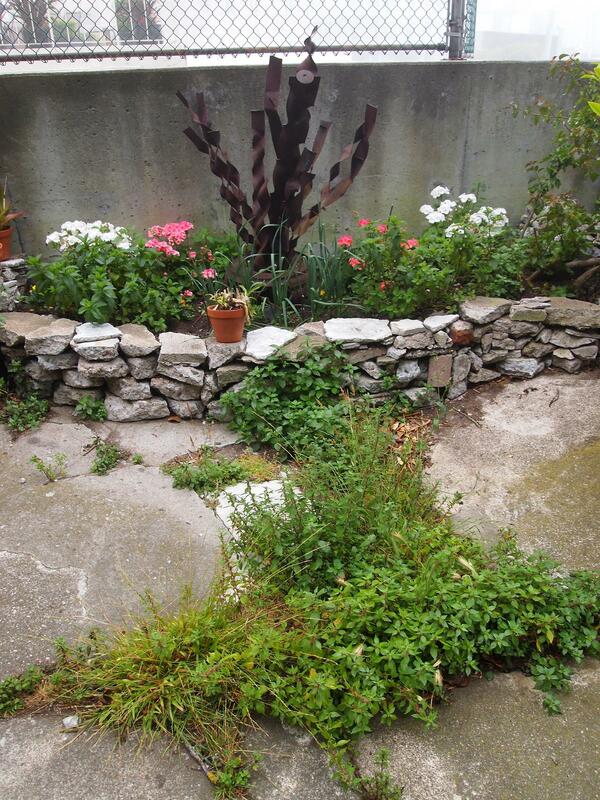 Doing things like putting rare or threatened or native species in your garden, or doing things like inviting wildlife into your space. Doing things like working together on a local creek project. Those kinds of things, or being an activist, actually trying to change some of these larger systems that are causing environmental problems, rather than just trying to purify your own eco-behavior into some kind of sainthood. That's where I'd like to see it going - becoming more of a community project. I kind of wish the subtitle had said "in a post-wilderness world." That may seem like kind of a small distinction, but I actually think that there's plenty of wildness out there. But what there isn't necessarily is pristine wilderness in a classic sense of a place untouched by humans. We don't have that anymore. Every place is touched by humans, either because we introduced species, because we've cut the trees down, or more quietly, more invisibly by climate change and persistent pollutants in the environment. There is no place - even Antarctica - that is free from our influence. You start rearranging your garden to have a lot of wildness in it; you're also going to have a lot more ticks in your backyard. You start rearranging city parks to be more bio diverse, they might not feel quite as safe at night because they're going to be more bushy and overgrown. But I think philosophically what I'm advocating for is moving away from this notion that there's nature, and nature is everything that humans don't touch, and as soon as a "bad" human touches it, it's ruined forever. I think that kind of dichotomy is not helping us out. What we need to have is a more collaborative nature with nature. We need to accept the fact that humans have had this very large influence, whether we like it or not, and work with that. And we need to invite more nature into our lives. SUZETTE GRILLOT, HOST: Emma Marris, welcome to World Views. EMMA MARRIS: Hi, thanks for having me. GRILLOT: You're a writer, and you've covered a lot of interesting topics and published in various areas ranging from energy issues, agriculture/food, language, film...all kinds of things. But what seems to be the unifying theme in your work seems to be a focus on the environment. Could you tell us a little bit about what your focus is in that regard? MARRIS: Sure. I was for many years a staffer at the scientific journal Nature. So I covered the sort-of science of the environment. Ecology, conversation biology, and other fields that directly deal with environmental issues. In 2007 I went freelance, and I've been writing about the environment in various magazines and journals since then. 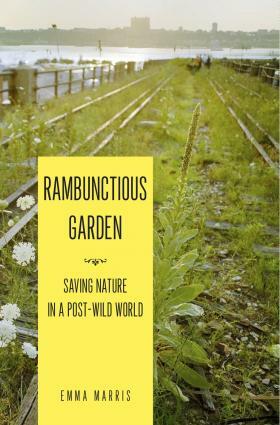 Then in 2011 I came out with a book, Rambunctious Garden, which is about how to do conservation in the modern era. GRILLOT: So what do you mean by that? Conservation in the modern era? I mean we're all quite familiar with things like reuse, recycle, reduce. GRILLOT: Is this not what we should be doing now? Or should we be doing something different? MARRIS: No, I think these are all good strategies. So let's say we're doing the right thing somewhere pulling, as it were, less aggressively on the natural resources of the planet. So that there's land out there that we are not using as a farm, or as a timber plantation. What do we do with those natural areas out there? How do we manage them? In the past, what we've tended to do is focus a lot on parks and wilderness areas. This is sort-of the core concern of conservation. And what my book is about is expanding that out, so we keep our parks. We keep our natural areas, and we keep our wilderness, but we also start to think about how to do conservation in more unfamiliar places. 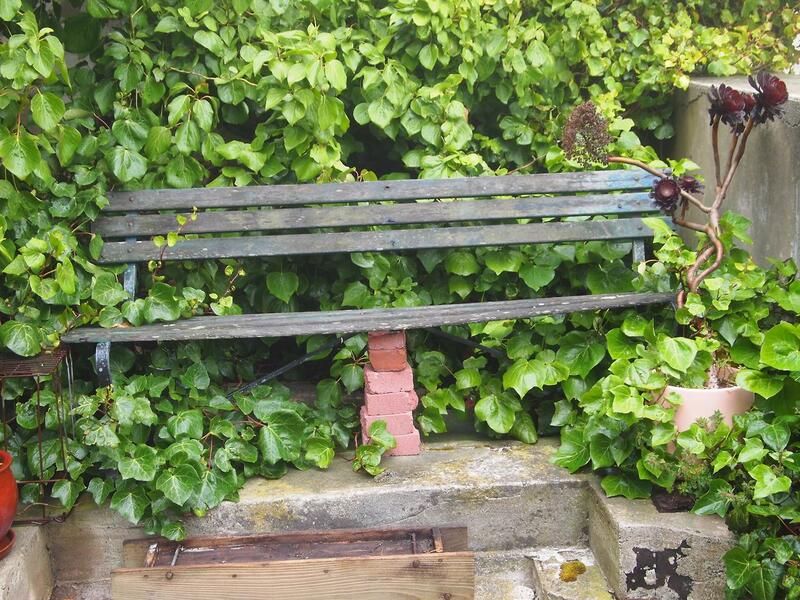 Like on farms, or in cities - how can we invite nature into those spaces? And how do we manage our parks and our cities and all our different spaces? In the past we tended to try to put them back the way they used to be. We had this sense that people mess things up, and the best way to take care of the earth is to put it back the way it used to be. But the problem is that's not really necessarily working very well anymore. The climate is changing. Land use is changing all around us. Species are being moved around. So in this crazy, mixed-up, heating-up world, it's getting harder and harder to put things back the way they used to be. Sometimes it's become impossible. So in that world, how do you do conservation? The book's about trying to do things with land, trying to encourage nature that doesn't look like it did in the past. It's a little bit new, suddenly new, but slightly new. So some of the strategies I talk about in the book are things like assisted migration - which is kind of a catch phrase for let's say the climate is heating an area up. Climate change is happening, and there's a species that cannot survive this new, hotter climate. Assisted migration would take that species and actually move it to a place where it can survive better. A place that it maybe had never been before. So in the older conception, doing something like that would not have occurred to most environmentalists, because it's not putting it back. It's making something new and different, but in this sort-of world of 2013 moving something might be the best way to save it. GRILLOT: So it's trying to preserve what we have, but do it in a way that maybe, as you said, is different from the way we've done it before. Instead of trying to save a certain habitat in a certain location, we just relocate their habitat? MARRIS: Sort-of. I mean, yeah, one way to put it is one of the scientists I interviewed for the book said that as the world changes, she's less concerned about where things are, and more concerned that they just exist. MARRIS: So a lot of it is about reassessing some of our deeply-held notions about invasive species, for example. 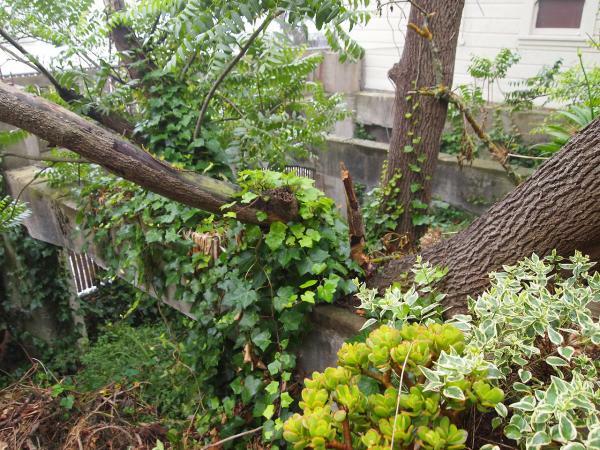 A lot of non-native species can be really destructive. But some of them aren't that destructive, and if we spend some of our scarce resources trying to remove non-native species that aren't actually causing any harm, I think it would be a better use of that money to protect more land from development, for example. So these are pretty subtle shifts, but they're shifts that have been controversial within the conservation community with people arguing vociferously on both sides. So it's been an interesting time having written the book to be in part of these ongoing conversations about whether we should continue to focus on putting things back, or whether we should be trying to manage to some new future condition. GRILLOT: ...and so that what we're doing - human behavior - is contributing to change in the natural world. GRILLOT: I think you've talked about the humanization of the planet or of nature. GRILLOT: So this is just one way to basically deal with that, rather than changing our behavior, or are these things that come in tandem? MARRIS: They're complementary, absolutely. I think part of what's going on within the conservation community is this realization about the massive scope of our influence over the planet. We've turned up the temperature. We've moved everything around. We have changed something like 75 percent of the ice-free land is now under direct human use. That means it's either grazing land, agricultural land, or developed land. 13 percent of the planet is protected areas. That's not a whole lot of real estate. We're increasingly living on an earth that's sort-of defined by how we're using it. So if we are only focusing on those 13 percent of areas that are in parks, we're not getting the full bang for our buck here as far as conservation. We need to be doing conservation and increasing biodiversity in all these other places like cities and so on. At the same time, we do need to be trying to arrange our own lives - both on a personal level and also through policies, laws, and so on, so we don't pull as hard on the resources of the planet. MARRIS: Absolutely. We're not off the hook on that. GRILLOT: ...in terms of relocation and thinking about it differently. GRILLOT: The driveway to their home? MARRIS: No, it's the little piece of green between the sidewalk and the street. What do you call that in Oklahoma? GRILLOT: Well, I guess we just call that part of our yard. GRILLOT: That little strip that's between the sidewalk and the street, OK. But it's still part of your yard. It's a lawn area. MARRIS: It's usually a lawn, but in this case what they've done is they've planted them out completely with these beautiful wildflowers that pollinators love. They've all agreed to do this together as a unit connecting two large parks. So this creates a little road for the pollinators to go back and forth. The bees, and the hoverflies, and the butterflies. It's called [Pollinator Pathway]. These kinds of little efforts are not just symbolic. In some cases they can actually be pretty meaningful for conservation to do things in neighborhoods. So this is the kind of new thinking that I'm working with right now. GRILLOT: ...and what we can be doing together in neighborhoods, in communities, in cities, and states, and nations, and regions, and globally, right? Is this what you're getting that? MARRIS: No, it's global. But one other thing on that point, which I think is really interesting, is that the whole "Reduce, Reuse, Recycle" mantra - as useful as it is for us to keep in mind - it's mostly focused on how we act as consumers. It's how we shop and how we buy things, and how we don't buy things. And I think that people are kind of bored, or offended almost, that the only way that they can have a positive influence on the planet is by how they shop. Doing things like putting rare or threatened or native species in your garden, or doing things like inviting wildlife into your space. Doing things like working together on a local creek project. Those kinds of things, or being an activist, actually trying to change some of these larger systems that are causing environmental problems, rather than just trying to purify your own eco-behavior into some kind of sainthood. That's where I'd like to see it going - becoming more of a community project. GRILLOT: Well the subtitle of your book has a very interesting word here, and that is "post-wild world." What do you mean by the post-wild world? MARRIS: In a way, I kind of wish the subtitle had said "in a post-wilderness world." That may seem like kind of a small distinction, but I actually think that there's plenty of wildness out there. But what there isn't necessarily is pristine wilderness in a classic sense of a place untouched by humans. We don't have that anymore. Every place is touched by humans, either because we introduced species, because we've cut the trees down, or more quietly, more invisibly by climate change and persistent pollutants in the environment. There is no place - even Antarctica - that is free from our influence. So if you think that nature is only the untouched wilderness, then environmentalism is over, and we've lost. Because there is no untouched wilderness. The new environmentalism needs to see nature more broadly. Nature is us and everything else in the big, glorious green flourishing profusion spilling out into our cities and into our streets. GRILLOT: So that would indicate that we need to be more one with nature, I guess. GRILLOT: ...what does this have to do with a post-wild...? MARRIS: ...I'd say this is a pretty unrelated journalistic project that I did many years ago just writing about a fascinating experiment where they tried to learn a little bit about the genetic roots of domestication by actually seeking to domesticate foxes. I don't think we should be domesticating wild animals. I think we should let wild animals be wild. GRILLOT: So that's not part of the project to try to be more one in the sense that we bring various species and wild species and humans together to co-exist? MARRIS: Yeah, although it can be tricky. I'm not saying it's easy. You start rearranging your garden to have a lot of wildness in it; you're also going to have a lot more ticks in your backyard. There are tradeoffs here. You start rearranging city parks to be more bio diverse, they might not feel quite as safe at night because they're going to be more bushy and overgrown. So there are interesting tradeoffs here. But I think philosophically what I'm advocating for is moving away from this notion that there's nature, and nature is everything that humans don't touch, and as soon as a "bad" human touches it, it's ruined forever. I think that kind of dichotomy is not helping us out. What we need to have is a more collaborative nature with nature. We need to accept the fact that humans have had this very large influence, whether we like it or not, and work with that. And we need to invite more nature into our lives. MARRIS: Yeah, I don't know. GRILLOT: ...it's all over the place. There are lots of different aspects of the environment in which people are moved to action on certain things. But how is this gaining any ground? Are you really starting to get some response from people around the world about treating nature in a different way than we've kind of been conceiving of it in the past? MARRIS: Yeah, I'd say so. There have been other people besides myself who have said, "Hey, let's move away from this black-and-white 'nature over there, people over there' thing, and let's start looking at this differently." There's a sort-of pragmatic streak to it, because it's about acknowledging our influence and then trying to figure out how we can best have a flourishing nature. Not necessarily condoning our influence, I have to point that out. So yeah, there's some other people. There's also a little bit of blow back from a more traditional wilderness-focused group that thinks that this is a dilution of the original environmental message. So I would say there's a vigorous period of self-reflection within the conservation movement which I'm really excited to be a part of. Because I think that what's coming out of it is a lot of really productive discussions that hopefully will create a kind of environmentalism, if it even needs to be a separate thing that has a broader constituency. That isn't just about rich people who like to go hiking, but that is something that people all around the world can be a part of, and not just this sort-of leisured class that can enjoy wilderness as this sacred object. GRILLOT: Well this definitely gives us something to think about. Emma Marris, thank you so much for being with us today on World Views.